Many agency’s receive a huge number of CVs per day, therefore only CVs that really stand out will be considered for interview. Once you understand the process of a recruiter you will then understand the importance of a good, informative CV. Recruiters cannot offer everyone that gets in contact an interview so agency’s have to be very selective, they look for solid, informative and professional CVs and only the really good CVs will muster a ‘first pass’. Your CV showcases your achievements, your goals and your personality. Start with a short introduction about your strengths and achievements. This can be difficult for some, have you ever noticed how easy it is for us to list out weaknesses? I cannot count how many times I have heard statements like: ‘I’m rubbish at delegating’! ‘I’m not good at managing people’ I dislike taking all the responsibility’ etc. I am a creative person, I am always finding new ways to streamline our processes. I am a diligent worker/I work with diligence, I always strive to achieve excellence in every task I undertake. I have achieved my career and personal goals by being conscientious and assertive. Conscientious, capable, focused, delegator, team leader, team oriented, leadership, disciplined, time management and punctual etc. If you are stuck there are many websites than can help you with CV and power words. 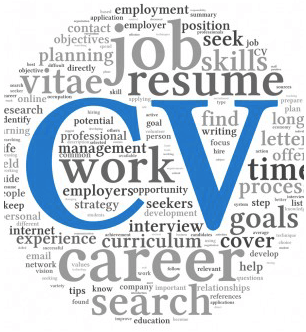 Always try and keep your CV succinct, 2 A4 pages is enough for anyone to digest and anything more will probably not be read. Your previous 2 positions are of the most interest to any potential employer. Set out your CV simply and clearly. Centrally aligned add CV as your header, add a space or two and then add your name and contact details below. You are not required to add your age/birth date. Then add (align right of the page) your short introduction. Beneath this add latest position with dates from and to. Repeat your positions accordingly, if 2 pages are not enough, if, like myself, you’ve been in the marketplace for years try to minimise the information but take care not to minimise the impact of your CV to ensure your CV fits 2 pages. Maximise your page margins if you have to! You can make your CV stand out by adding some imagery of a class you have set up, work children have produced or of yourself teaching a class this can always be the ‘3rd’ page!